Americans sure know how to build an empire! This business is smart and they understand stationery addicts. Notebooks, labels, pens, fancy planners... you name it - Erin and her team will design it. *See more via the Erin Condren site. Here we are still figuring out what to do with 2014 and now we are expected to already select our diary / planner for next year! 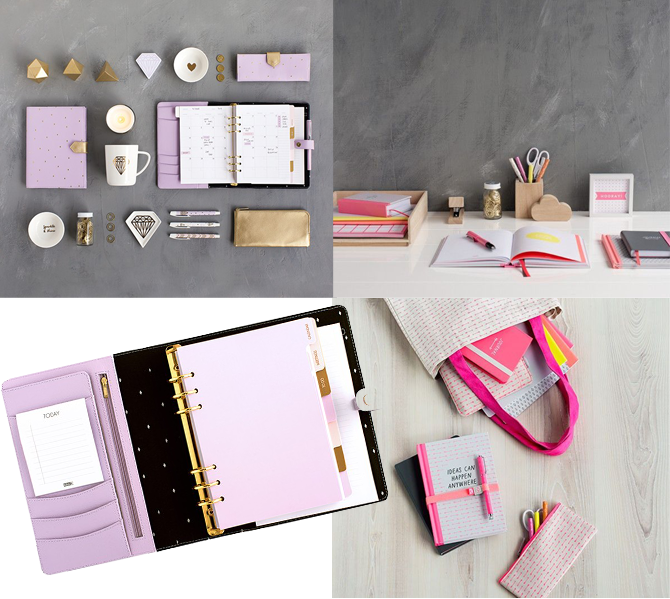 Kikki K is a wonderfully, amazing stationery brand that I'm utterly in love with. Their new season planners are pretty damn nice too. *Visit the site to see more. Here's to a productive and beautiful month! I hope you enjoyed today's inspiration - happy planning. Lovely, creative notes and notebooks!